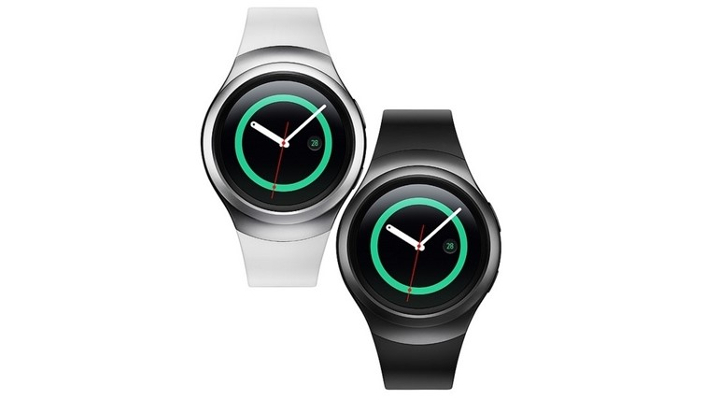 The Samsung Gear S2 blends style and substance to create a wearable that is at once distinctive and practical. First launched in 2015, the smartwatch is continuously evolving. As it does so, it has also incorporated several enhanced functions from Samsung’s latest smartwatches, reflecting the company’s unwavering commitment to refining the user experience of wearables. The Gear S2 will now become better than ever thanks to a new software update. Let’s take a look at the features of the new update that will make the Gear S2 more convenient and even easier to use. At first sight, the user experience has undergone several noticeable changes. The update optimizes the icons and widgets for the Gear S series’ hallmark circular display. The new look of the user experience enhances the unified appearance of each screen, enabling the content to be viewed more easily. Design is not only about form, so the device’s functions have also been carefully considered to increase usability. The new App Shortcuts widget now automatically places your most recent apps, but you can still manually select your favorites. Additionally, the Gear S2’s Quick Panel for fast settings such as display brightness, volume and airplane mode can now be viewed by swiping down from all screens – not just the watch face. With a smarter and even more intuitive Samsung Health, it’s easier to manage and track your activity. Health information, such as pace count and heart rate, are easier to read on the screen at a quick glance. What’s more, if you have a preferred type of regular exercise, you can get quicker access to it by setting it as a preset on the newly added Multi-workout widget. There are now additional Inactivity Alert’s options too, so you can stretch when it’s convenient to do so. When the Gear S2 is connected to Samsung Health on your smartphone, there are even more options to explore. The Weight Management feature, for instance, displays your daily exercise and caloric intake. In addition, as well as viewing your real-time heart rate, you can access and control exercise-related video content with your Gear S2, after connecting the device to a smartphone synced to your TV, to experience a professional fitness program at home. The updated Gear S2 is able to connect with even more of the hardware and software you already use and enjoy. For example, download the Gear VR Controller app and you will be able to manipulate the Gear VR with your Gear S2 as you interact with VR content. For office workers who want to make the right impression with their presentations, the PPT Controller app allows them to control the display of PowerPoint slides – even offering a timer function – so they can ensure a slick presentation, without having to remember to bring a PowerPoint clicker. Gear S2 wearers are unlikely to be caught out by unexpected change in the weather again, thanks to the simple – yet detailed – weather information they receive every morning on the Gear S2. The device provides useful forecast updates, so that users can prepare for whatever the weather may bring that day. The information includes daily highest and lowest temperatures, along with wind chill and temperature differences from the previous day. You can also look up sunrise and sunset hours, probability of rainfall, UV index and other various weather details to make sure you’re fully informed before you leave the house. The Gear S2’s latest software update is available to download via the Samsung Gear app.